We know that it can be tough to start a career working in the arts, especially when you have no experience. Fortunately, we can offer Volunteer spaces at The Warren that will give a real boost to your confidence, CV, and skill set. You’ll receive full training and a reference from the company after the Festival. The types of skills you will be able to gain/build on are people management within a live venue environment, time management, awareness of Health & Safety and fire procedures and assisting the Box Office with ticket validation and information. 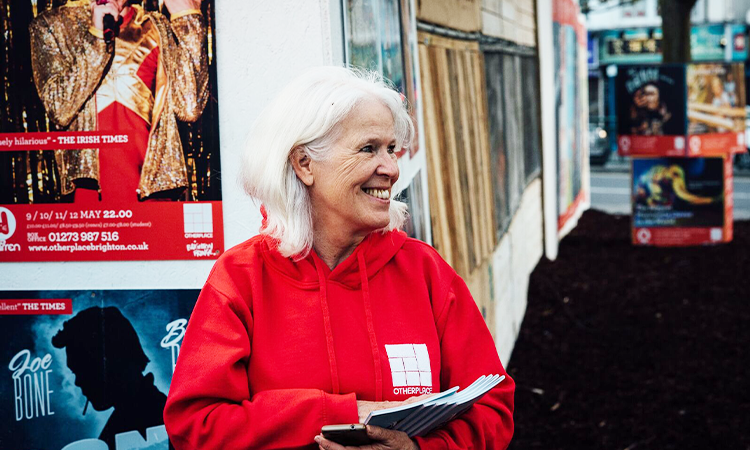 If you find yourself with some free time, volunteering with us will be a fun activity to fill your days and evenings with quality entertainment. You’ll get lots of fresh air and sunshine (fingers crossed!). The Front of House Manager and the Front of House Supervisors are always on hand to provide support during your shift. Often described as a ‘festival-within-a-festival’, The Warren is a bustling multi-venue site that pops up every year for the duration of Brighton Fringe, England’s largest arts festival. This year we are very excited to present our brand-new site at Victoria Gardens. The site features six theatre spaces, three bars, and a family area. In 2019, we will have a programme of 250 events taking place over the month-long festival period between 2 May and 2 June – so there is not only plenty to see, and also plenty to get stuck in with! There will be tonnes of opportunities to make new friends and connections at this bustling festival site. The Warren attracts a whopping 170,000 visitors over the festival period – not to mention all the performers, production crew, festival staff, volunteers, journalists and box office staff – to name but a few! You’ll be right at the heart of things, acting as the public face of The Warren! The Warren welcomes a whopping 170,000 visitors over the festival period, and our Front of House team plays a key role in making their experience enjoyable and memorable. As a member of the Front of House team, you are essentially the public face of the Warren, so this role is ideally suited if you enjoy working with the general public and are enthusiastic about what The Warren has to offer. In order to make our festival schedule work, we will need you to be able to commit to at least 3 x 5-hour shifts per week throughout the festival. In return for all your hard work, you will be given your own personal Staff Pass, which will allow you to attend performances at The Warren for FREE (whenever you are not on shift, and provided they are not sold-out!) . You’ll also get discounts on tasty Festival food & drinks stalls. Any questions, give us a shout and email volunteer@otherplacebrighton.co.uk . The application deadline is Wednesday 10/4. On Saturday 13/4, we will hold a Recruitment Day in Central Brighton (location TBC), where we will conduct short interviews with everyone and give you detailed information about the role.